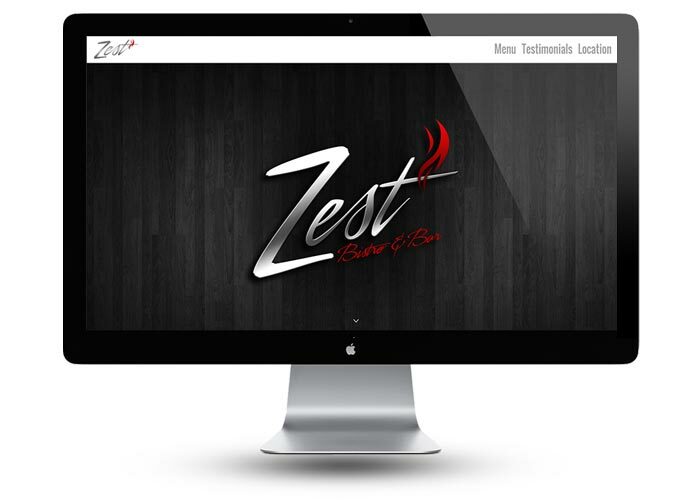 Built in WordPress, done in 32 days, site security, call to action, menus, testimonials, custom graphics, mobile-friendly. 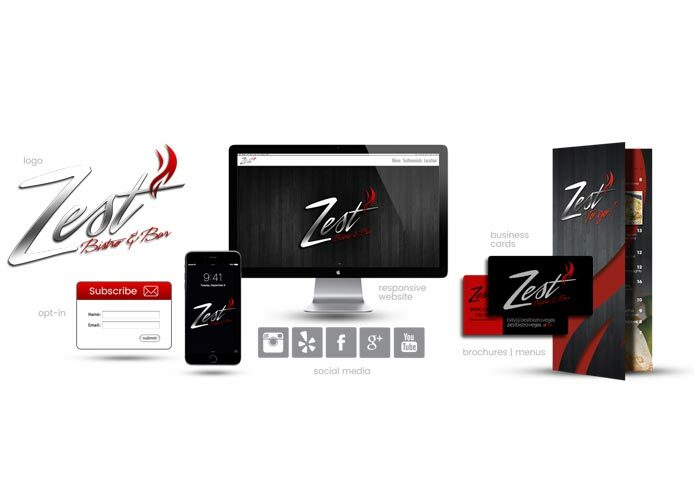 Comprehensive branding across all platforms. 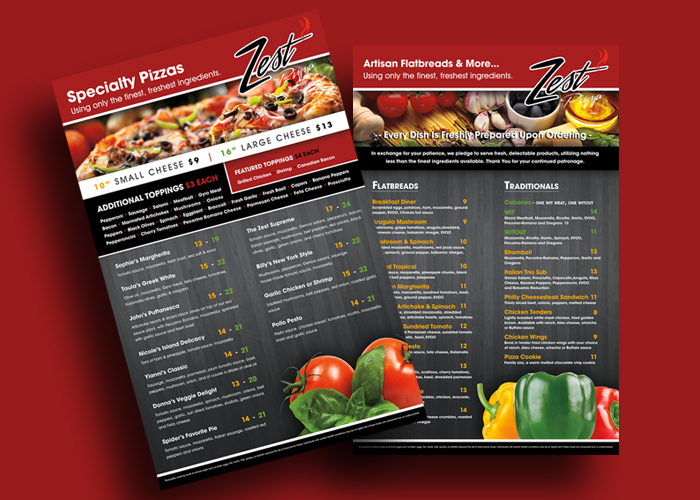 From social media and the website to business cards and the menus. 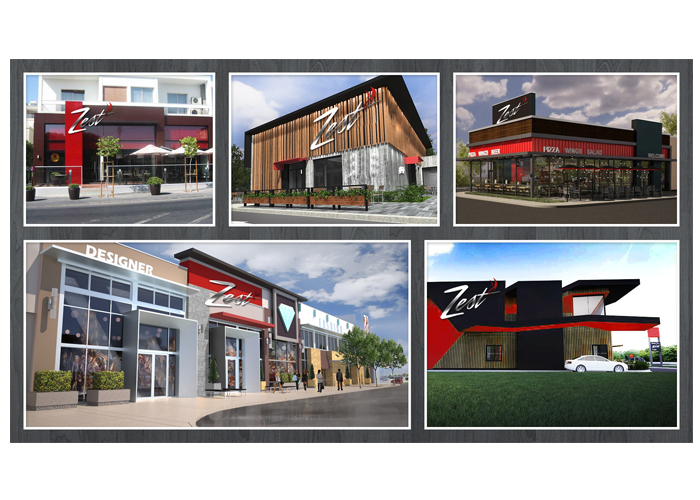 Apparel design for Zest Bistro. Mockups for a marketing deck as requested by Billy. 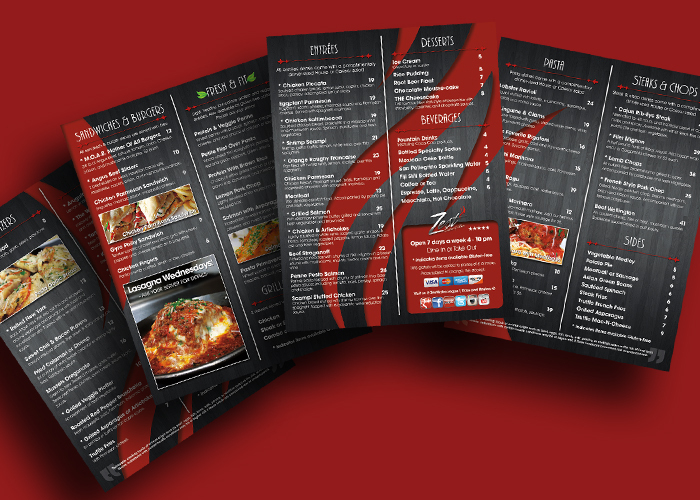 Dine in menu design in use today! 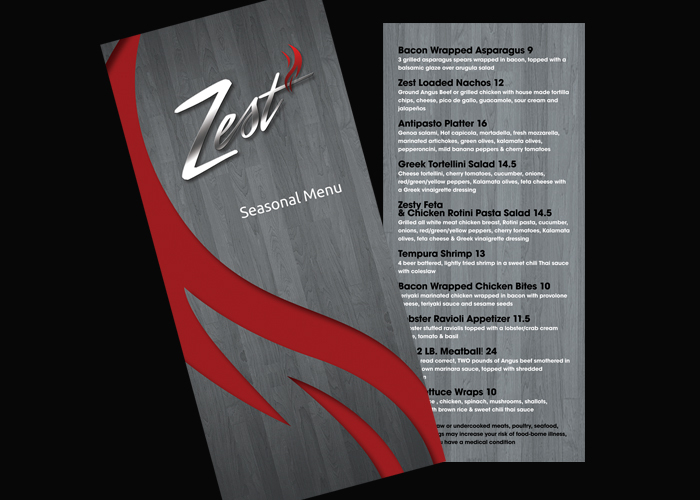 Zest has seasonal menus for various items throughout the year. Pizza so good, it requires its own menu! 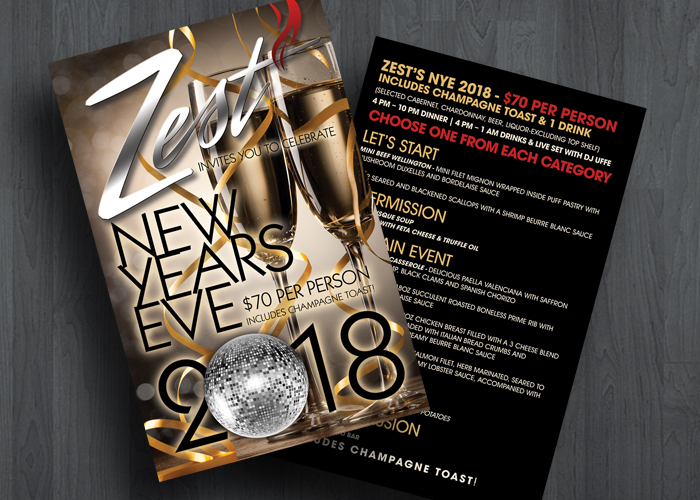 From football games to New Years Eve parties, Zest needs promo materials. 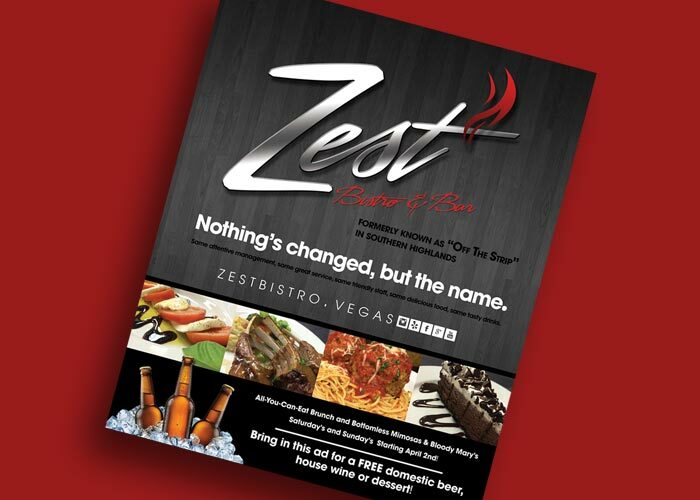 This ad was seen in the Seven magazine, local to Las Vegas.